There can never be too many cooks in the kitchen… at least when it comes to Rascal Flatts‘ new music video for “Yours If You Want It,” that is! Debuting exclusively on PEOPLE.com, the video for one of the fastest moving singles on country radio charts showcases the band as the staff at the Hermitage Cafe in Nashville. The guys are joined by the original Buffy The Vampire Slayer actress Kristy Swanson and actor Kevin Farley, who bring the song to life through an idyllic, yet imaginary, fairytale love story. “I called [director] Billy Zabka because we’d had such a great experience with him doing the ‘Why Wait’ video,” Jay DeMarcus tells PEOPLE. 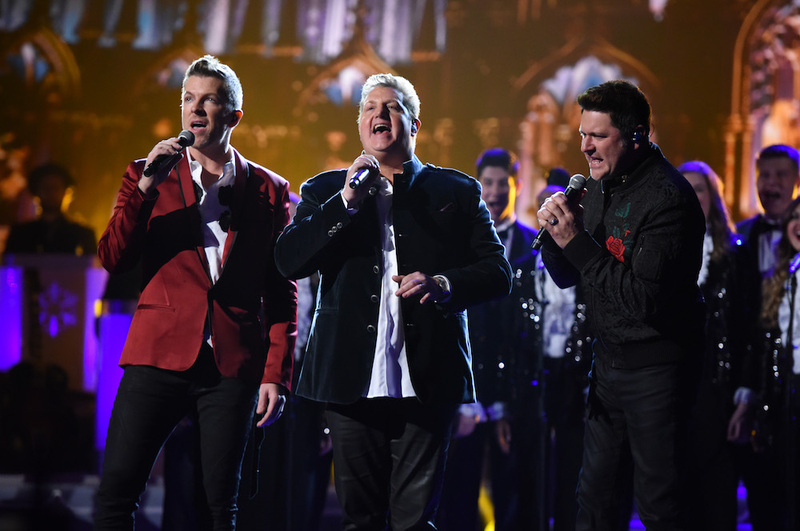 Despite long hours and a rain delay, DeMarcus, Gary LeVox and Joe Don Rooney recall a passion and energy on set that comes with working with the best in the industry. The trio’s new album, Back to Us, hits stores on May 19 and promises to be a return to the vocals that made the band famous in the first place. “It’s a familiar Rascal Flatts sound, but different with the song quality,” explains LeVox. “I think it’s the best stuff we’ve ever done and collectively we’ve got more singles on the record than we’ll ever be able to get to. It was awesome to make and we took our time with it and just had a ball.